~~ Charles M. Schulz, aka “Sparky, most influential “American cartoonist, “Peanuts” creator, Charlie Brown protagonist, based on his life as a child. 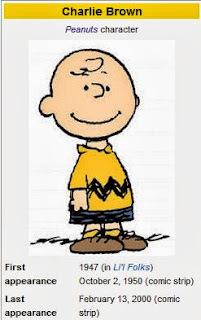 Trials, tribulations and life lessons of 8 year old Charlie Brown with subtle racial and gender equality issues, and dashes of politics were celebrated throughout this cherished, American comic series which appeared in print for over five decades, and quickly finding the way to TV, Theater, Film and later on, Digital. Originally a daily comic strip -- the first strip was only four panels long. This marked the ultimate precedent -- the first time ever (1950s) where comic strips depicted a child expressing hatred for others. 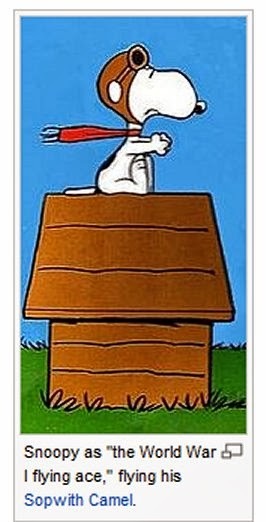 Another early famous character in the strip, Snoopy, Charlie Brown's pet dog with uncanny mind abilities, first appeared in the third strip, which ran on October 4. The first Peanut Sunday strip appeared January 6, 1952, in the half-page format. 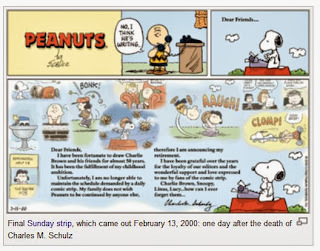 The final daily original Peanuts comic strip was published on January 3, 2000. 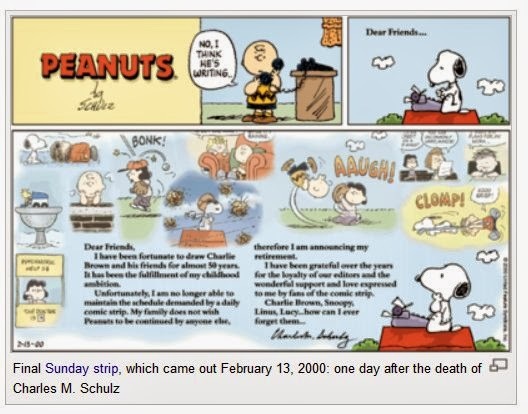 The last Peanuts strip to run in papers was on February 13, 2000, the day following Schulz's passing. The strip began with Charlie Brown answering the phone with someone on the end presumably asking for Snoopy. Charlie Brown was the only character to appear in both the first strip in 1950 and the last in 2000. A Charlie Brown Christmas is the first prime-time animated TV special based upon the comic strip Peanuts, by Charles M. Schulz. 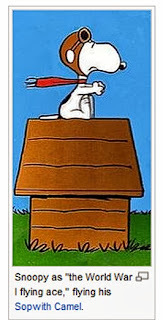 It was produced and directed by former Warner Bros. and UPA animator Bill Melendez, who also supplied the voice for the character of Snoopy. Initially sponsored by Coca-Cola, the special debuted on CBS in 1965, and has been aired in the USA during the Christmas season every year since -- on CBS through 2000, and on ABC since 2001. The story touches on the over-commercialization and secularism of Christmas, and serves to remind viewers of the true meaning of Christmas (the birth of Jesus Christ). 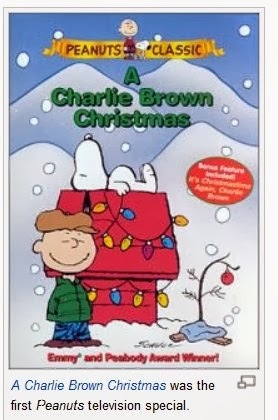 Today the animated Christmas special is shown at least twice during the weeks leading up to Christmas. The special has been honored with both an Emmy and Peabody Award.